Oops! 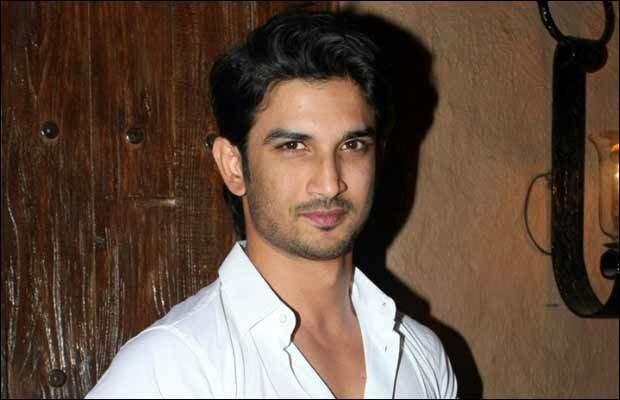 Sushant Singh Rajput Drops Out Of Half Girlfriend, Guess Who Is On Board? Sushant Singh Rajput Walks Out Of Half Girlfriend, Guess Who Is On Board? [tps_footer]Sushant Singh Rajput was much in news for being the main lead in the film ‘Half Girlfriend’. The film which is based on Chetan Bhagat’s novel of the same name has been going through casting turmoil since a long time. Almost all actors who have been finalized have witnessed date problems or some other issues leaving the film on a standstill. The issue has cropped up once again and Sushant Singh Rajput who was finalized for the film has walked out of it. The film ‘Half Girlfriend’ is yet again on a hunt for a promising star cast. Actress Alia Bhatt who was earlier locked down by the makers for playing the female lead also opted out of the same. The newbie Alia had to choose between ‘Half Girlfriend’ and ‘Shuddhi’ and the actress went ahead with the latter. However, Ekta Kapoor helmed project ‘Half Girlfriend’ is yet again without stars. According to reports, Sushant opined that he had to opt out of the film because of lack of dates. The promising star Sushant Singh Rajput also said that he was looking forward for doing the film but unfortunately due to clash of schedules he had to drop it. Well, rumors making rounds suggest that handsome actor Arjun Kapoor is being considered for the role in the film. The actor had also acted in the movie ‘2 States’ which was also adapted by the novel of the same name. Arjun received applauds for his character and the film went on to become a super hit. After the successful record, sources say that makers are yet again thinking on locking on Arjun Kapoor. Coming to the leading lady nothing has been announced as of now. But rumor mills suggest that new entrant Kriti Sanon might be in the line for grabbing this flick. Now whether Arjun fits into the shoes of Sushant Singh Rajput perfectly or no only time will tell. Previous articleBox Office Clash: Aamir Khan’s Dangal Vs Baahubali 2? Next articleAirport Spotting: Kareena Kapoor Khan, Parineeti Chopra, Ranveer Singh And Others Snapped!